PARADISE LOST - BELIEVE IN NOTHING REMASTERED 2018 (DIGI) | Online Shop | Wizard LTD. 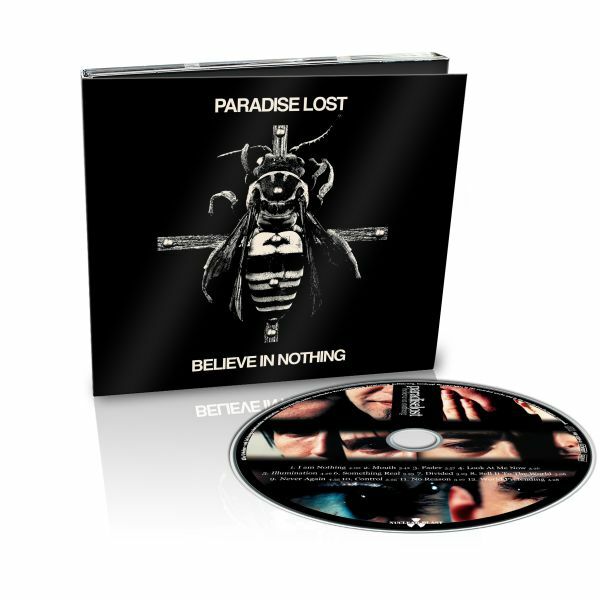 Album: "BELIEVE IN NOTHING REMASTERED 2018 (DIGI)"
On June 29th, British cult Metallers Paradise Lost will release a new version of their eighth full-length album &apos;Believe In Nothing&apos; that initially saw the light of day in 2000. The band were never really satisfied with the overall production and artwork for this record but Jaime Gomez Arellano has remixed and remastered the twelve tracks and Branca Studio designed a dark and moody new cover artwork, to bring it closer to the initial vision that the band once had for their gothic rock album. "It&apos;s no secret that we were never entirely happy with the production on this record, despite really liking the songs," states singer Nick Holmes. "It&apos;s been a long time coming, but we finally found the right moment to go back into the studio with Gomez and play around with it. We hope you all enjoy the remixed version so you can hear how the songs were meant to sound."